Nien Yuan Cheng reflects on the film screening and lecture, "Gender, Crossdressing and Androgyny in Balinese Dance", conducted by ethnomusicologist Edward Herbst under the aegis of the Bali 1928 repatriation project. 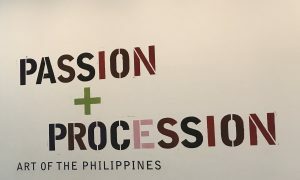 A historically-focussed review of the AGNSW's Passion + Procession: Art of the Philippines exhibition. A personally-confronting reflection on why, sometimes, art galleries don’t seem to work for the author. A mini-review of the Art Gallery of New South Wales' recent exhibition of Philippine art.